Our coffee maker, which we use during the week, broke down, so I’ve been doing some diligent research on which coffee maker we should invest in to make our mornings happy. 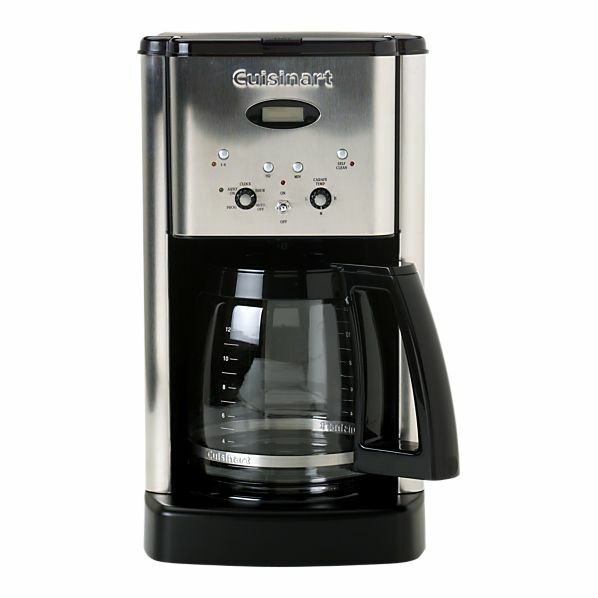 We had the Cuisinart DGB-650BC grind and brew thermal 10 cup programmable coffee maker with a thermal carafe. Unfortunately, we’ve already exchanged this guy once. The grinder decided to stopped working after about a year. We also replaced the carafe because it would leak every time we would pour a cup, but the new carafe did the same thing. No love. This past week the coffee maker started leaking water, so I figured it was time for new design altogether. It’s been hard. I decided to downgrade and convert to a simpler coffee maker. It’s like those TV’s with both a VCR and DVD in them. It sounds like a great idea until one of them breaks, and now you need to get an external DVD player, too. 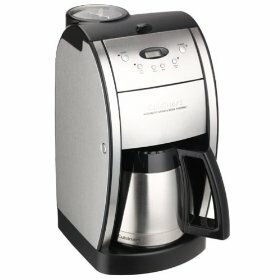 I went with the simple Cuisinart DTC-975BKN Thermal 12-cup programmable coffee maker. This guy just makes coffee with grounds, in a 12-cup glass carafe. It works perfect. It pours perfect. And for $40.00 less, I was a big fan. Bodum Bistro is so cute and compact! It comes in various colors for $34.99. The downfall is that it makes only 2 cups of beans and has no type of external container. 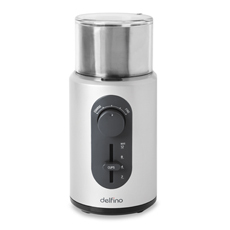 The DeLonghi KG49 coffee grinder $39.99 – makes 4-12 cups and shuts off automatically. It also has a removable ground coffee container for your freshly ground beans. 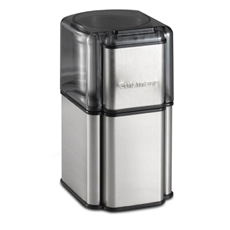 The Cuisinart Grind Central Coffee Grinder $29.99 – a handsome little guy that claims to grind enough beans to make 18 cups of coffee. 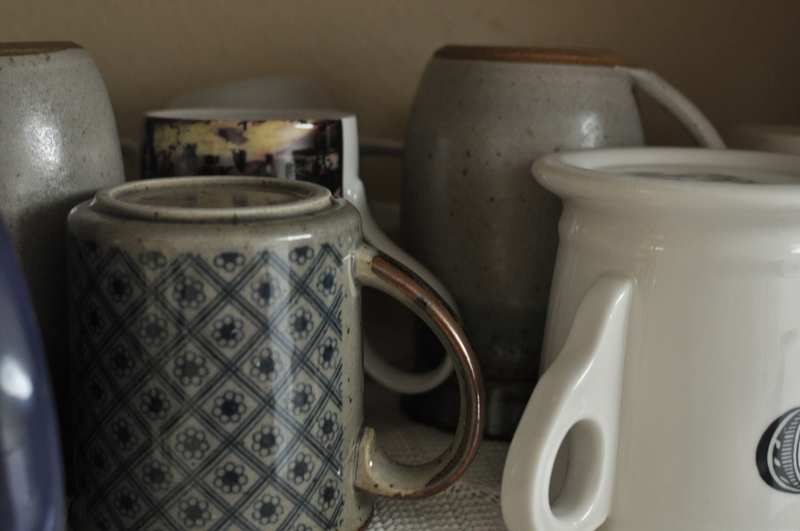 It also has a removable container with lid to store your grounds which is also dishwasher safe. 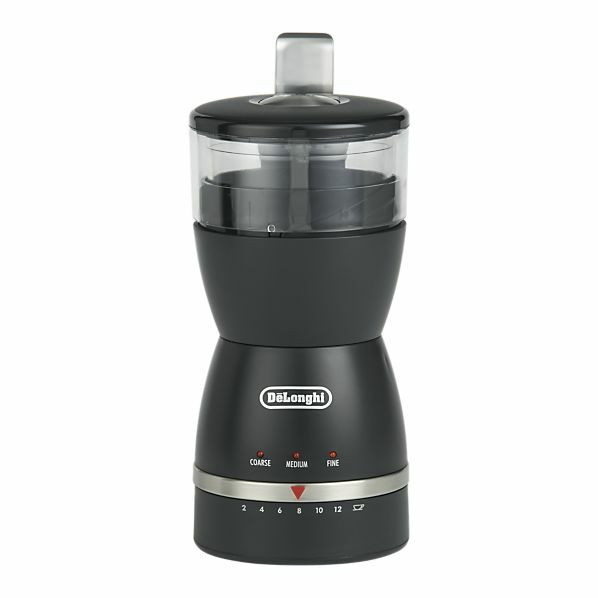 Lastly the Intelligent Coffee and Spice Grinder by Toastess $39.99 – Grinds 2-12 cups of coffee and spices too. Honestly, they all are great. They all have a one-touch feature to work those beans, and most have a retractable cord making it as compact as possible! 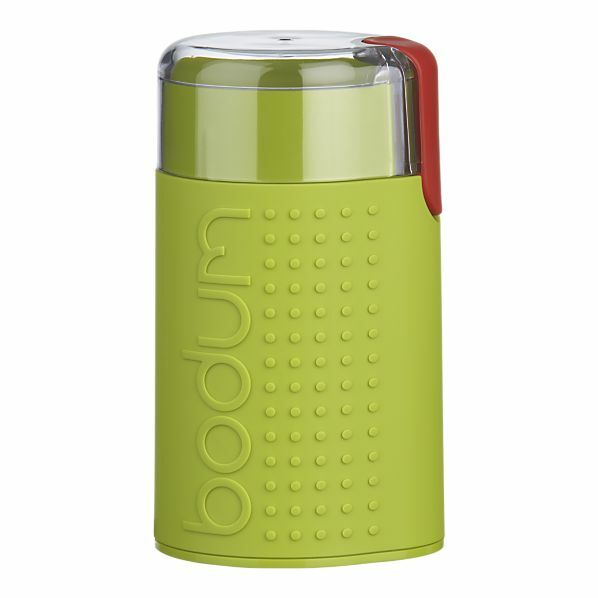 I really wanted the Bodum grinder for the cuteness factor but decided on the Cuisinart grinder for practical reasons. Plus, I liked the ability to remove the container from the grinder. Grounds can be messy so any way to reduce the mess, I’m in! The grinders are a little on the big side, but for the price I think it works great!